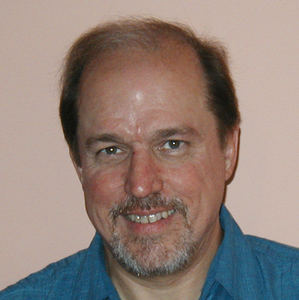 Julius O. Smith teaches a signal-processing course sequence and supervises related research at the Center for Computer Research in Music and Acoustics (CCRMA). He is formally a professor of music and (by courtesy) electrical engineering at Stanford University. In 1975, he received his BS/EE degree from Rice University (specializing in Control, Circuits, and Communication). In 1983, he received the PhD/EE degree from Stanford University, specializing in techniques for digital filter design and system identification, with application to violin modeling. His employment history includes the Signal Processing Department at Electromagnetic Systems Laboratories Inc., (working on systems for digital communications), the Adaptive Systems Department at Systems Control Technology, Inc. (working on research problems in adaptive filtering and spectral estimation), and NeXT Computer, Inc., where he was responsible for sound, music, and signal processing software for the NeXT computer workstation. Prof. Smith is a Fellow of the Audio Engineering Society and the Acoustical Society of America, a member of the IEEE, and has served for many years on the JAES Review Board. He is the author of four online books and numerous research publications in his field. For further information, see http://ccrma.stanford.edu/~jos/.